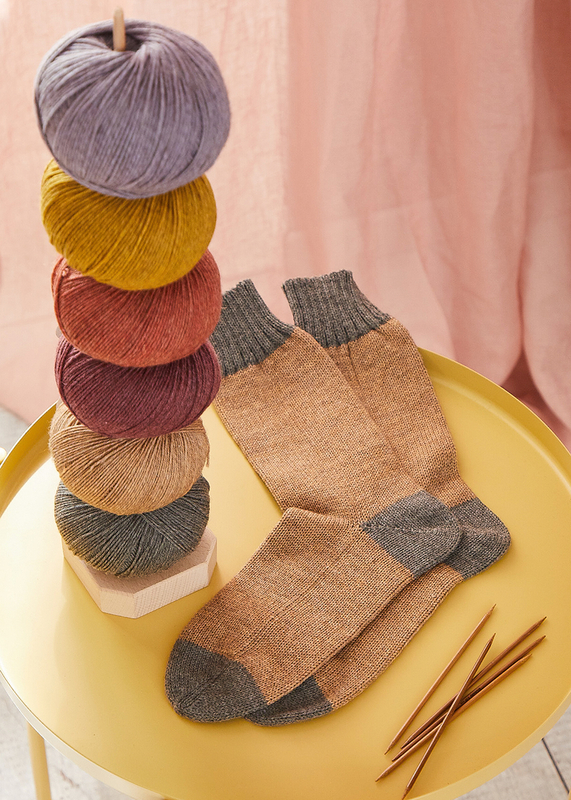 These great socks made of PREMIUM Silk or Merino Yak are knitted with the stockinette stitch, but they get a certain something with their two-tone color! The trick is that cuffs, heel, as well as the sock tip are knitted with a different color! With this very little effort you create something very special, what makes it also suitable for "sock beginners".